You control He-Man! Fly the Wind Raider from the workshop of Man-at-Arms to Castle Grayskull - 30 treacherous miles guarded by the evil warriors sent by Skeletor! 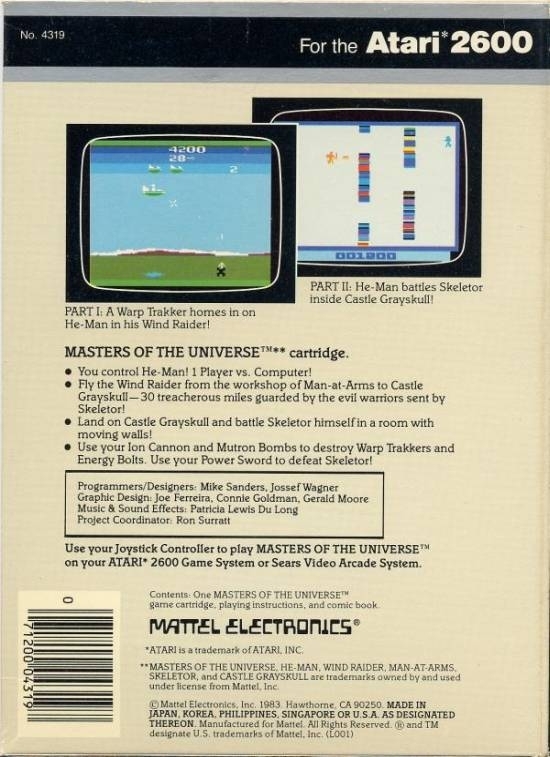 Land on Castle Grayskull and battle Skeletor himself in a room with moving walls. Use your Ion Cannon and Mutron Bombs to destroy Warp Trakkers and Energy Bolts. Use your Power Sword to deafeat Skeletor!